You’ve probably heard that bleaching and highlighting your hair causes damage. While this is true, we’re not suggesting you don’t do it, as these treatments can look lovely when done correctly whilst lightening products can also make fine hair appear thicker and fuller by plumping the individual hair shafts. When bleaching or highlighting your hair you just need to ensure that you take the proper steps to keep it healthy, hydrated and looking its best. Bleach and highlights remove colour from your hair through the process of oxidation. Oxidation decolourizes the pigment in your hair shaft, which is why bleach will turn your hair almost white if it’s left on for too long. Very bleached hair often gains a ‘yellow’ tint, because keratin (the protein your hair is made of) is naturally a pale yellow tone. To achieve the ‘platinum blonde’ look hair needs to be tinted as well as bleached. It’s impossible to make your hair a lighter shade without the help of a bleaching agent – all of which are called ‘oxidizing agents’. Hydrogen peroxide and ammonia are the most commonly used bleaching agents and are often mixed together, as when used separately they’re unstable and very slow in lightening the hair. Don’t be fooled by manufacturers who use ‘peroxide-free’ labels as a way to promote their products as ‘hair-friendly’. Although these mixtures do not contain peroxide, they will contain another oxidizing agent to create the effect which will be just as damaging to your hair. Of all colouring methods, bleach is potentially the most damaging, and therefore should ideally always be done by a professional. Bleaching raises your hairs’ outer cuticle to allow the bleaching agent to fully penetrate. However, repeated bleaching can permanently raise the cuticle scales which allows rapid and continuous loss of moisture. Damage from bleach includes dry, brittle, inelastic hair, and hair that is more prone to breakage and split ends. Bleached hair is also more porous and swollen and therefore more vulnerable to other chemical and non-chemical processes. These include everything from permanent wave solutions in curling or straightening, to regular heated styling with blow-dryers, straightening irons and brushes. While all bleaches have a damaging effect on your hair’s protein structure this is intensified each time the process is undertaken meaning the more often you bleach or highlight your hair, the more damaged it will be. The amount of damage done also depends on the level of the colour change. For instance, going from a dark to a light shade is the most harmful because the colouring (bleaching) agent is stronger and left on for longer. 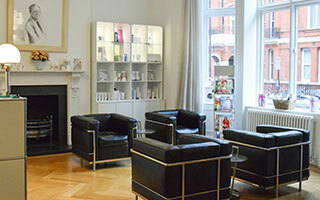 If you're suffering from damaged hair, our clinics based in London and New York specialise in hair and scalp treatments. It’s usually not necessary to have a skin sensitivity test (a patch test) for bleaches when they are used on their own. However, bleaching agents usually have various colours added to stop them giving the hair brassy or straw-like shades. If a colour dye is added to your bleach, you should always have a patch test done beforehand. That said, bleaches can cause burns to your scalp (or any tissue that they comes in contact with). If you experience any sort of discomfort during processing, you must let your Stylist know straight away. If they dismiss your discomfort as ‘normal’, do not listen – please insist you are attended to immediately. The best way to combat dryness, brittleness, and breakage is to use a pre-shampoo deep conditioning treatment three days before and also after bleaching or highlighting, and then weekly thereafter. This plumps your hair with moisture, making it more elastic and less likely to snap. 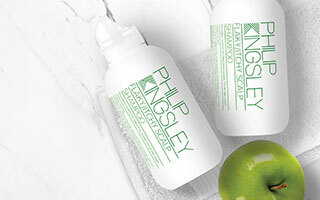 The correct pre-shampoo treatments also add shine, manageability and bounce. "Changed my hair life. Stronger longer better hair." Use a daily damage defence product to keep your hair hydrated, shiny and protected from daily environmental damage. Products like these also help to seal gaps caused by raised cuticles. While you may not be styling your hair throughout the day, pollution, air conditioning/central heating, wind and UV rays can take their toll. Bleaching raises your hair’s cuticles, causing hairs to interlock and tangle easily. Condition after every shampoo to flatten the cuticle, seal in moisture, reduce knots, and add shine. 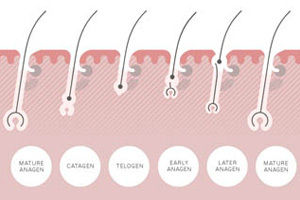 Bleached hair is already vulnerable to damage and snapping, this is because the cuticle of bleached hair is weaker and often raised, allowing it to be more easily broken during your day-to-day hair care regime. When your cuticle is damaged, your hair's cortex (core) becomes exposed, which leaves your hair prone to rapid moisture loss. Do not brush or pull your hair roughly and be especially gentle when you style. To help prevent breakage, gently detangle bleached hair when wet (or dry), starting from the ends and gradually working up to your roots. Turn off your blow-dryer when your hair is ‘just dry’. Overheating and drying bleached hair further reduces the hair’s moisture and elasticity. Use a smoothing product to help close and smooth your hair cuticle. This will help reduce moisture evaporation and give your hair a glossier and healthier appearance.